A power adjustable crutch assembly is provided for assisting a user in transitioning between a seated position and a standing position. The assembly includes a support configured for positioning under an arm of a user. An upper frame is coupled to and extends downwardly from the support. A lower frame is slidably coupled to the upper frame. An adjustment assembly is operationally coupled to the lower frame and the upper frame. The upper frame is adjustable to extend a selectable length from the lower frame. A foot configured for frictionally engaging a ground surface is coupled to a bottom of the lower frame. 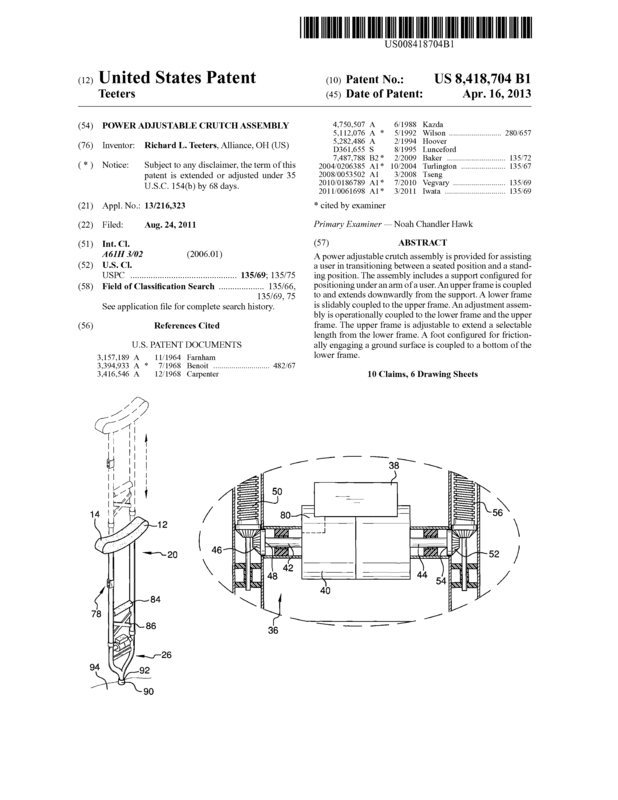 Page created at 2019-04-26 18:45:25, Patent Auction Time.